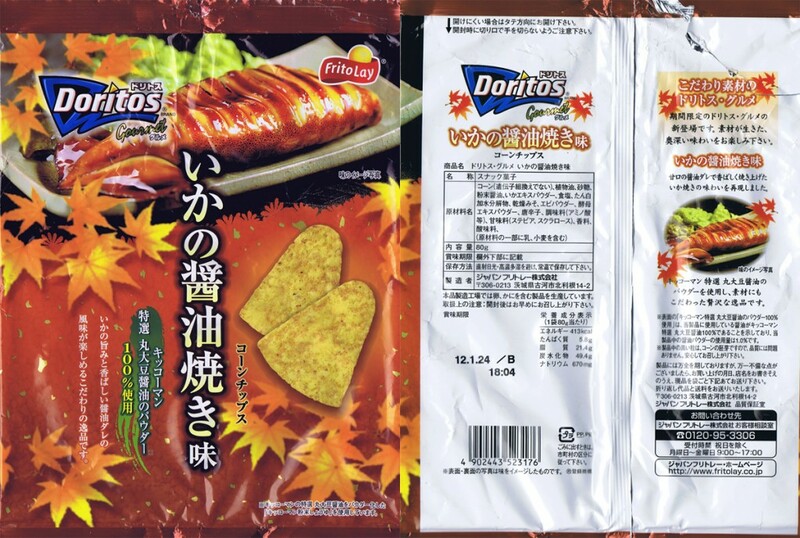 This is the first episode to be a part of a Dungeons & Doritos Support Drive! Zombiepops and Hulihuli‘s anniversary-inspired campaign ended with the highest bid. This episode was conceived by them and features the voice of Hulihuli. 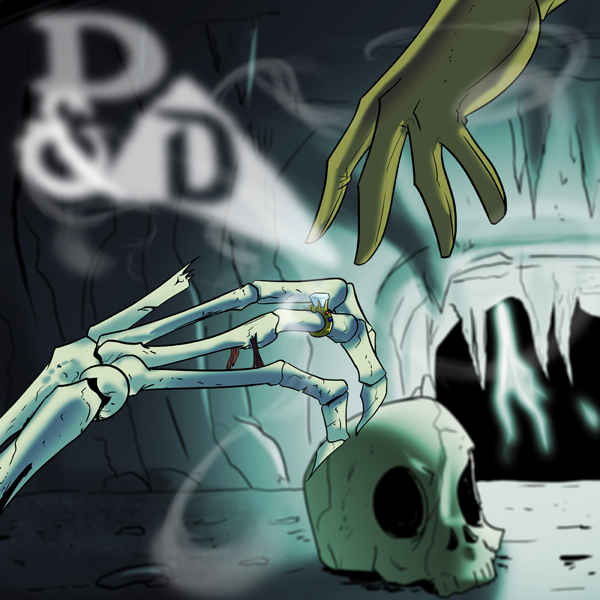 Thanks to everyone who donated for supporting the show and look forward to a new D&D Drive in the near future! Special thanks to Jarrod who provided some additional, positively devilish,voice work. If you dig what we do, support the show! 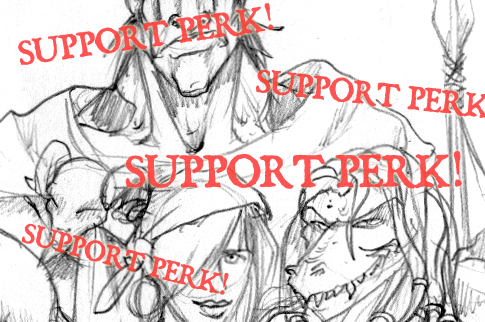 Spare some coin and get access to the current D&D sketch gallery with episode-specific sketches by Tony and local-shop, as well as other cool stuff. If you’d like to see the awesome D&D group shot that Jarrod drew live during the episode – just click the red button that reads “$upport” in the upper right-hand corner. 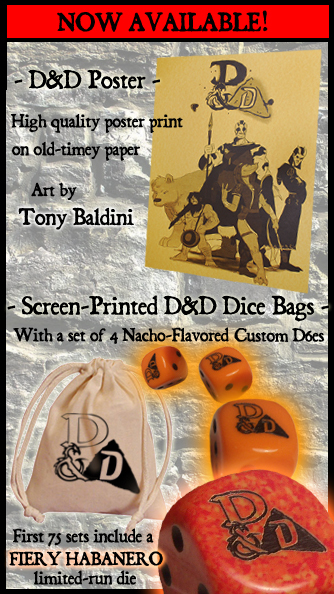 STILL AVAILABLE: The Dungeons & Doritos SHIRT – Only $10! Check out a behind-the-scenes look at the making of the shirt and a guide to all the characters and items referenced. 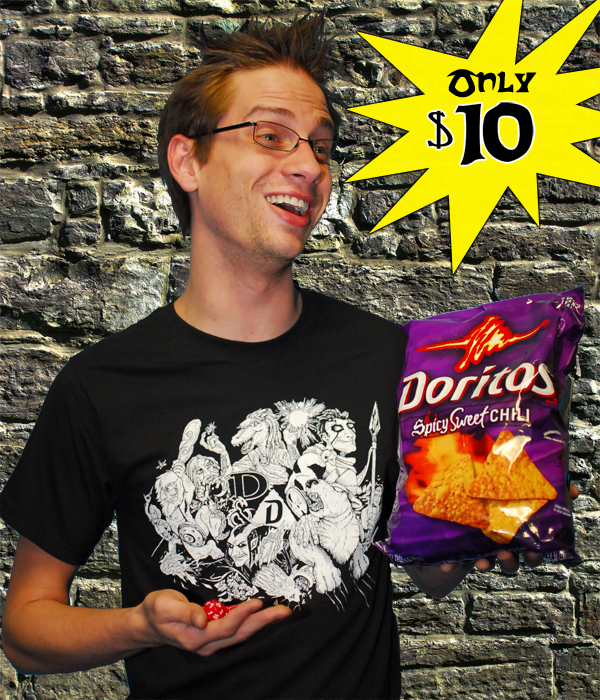 ALSO – a special deal: You can get both the Nerdy Show logo shirt and the Dungeons & Doritos shirt for only $20 + shipping ($22 for plus sizes)! Head on over to the store page to get yours.